Iron Ceiling Plate, this is a hand made ceiling plate to match all our hanging lamps. 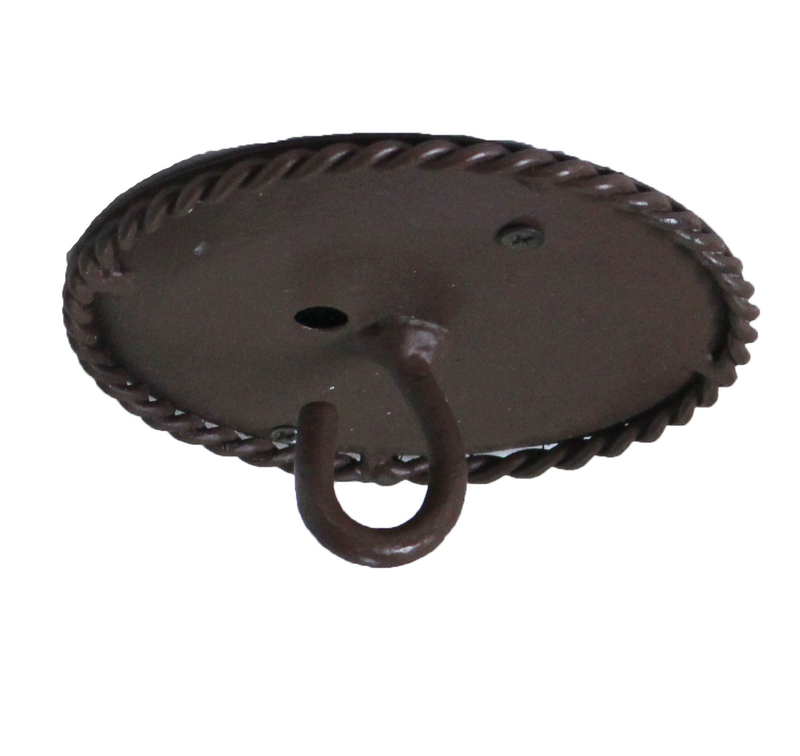 Iron ceiling plate, 5” diameter and 2” hook, our ceiling plates are *custom made to match and add the finishing touch for all our ceiling hanging lamps and fixtures. This ceiling plate has 3 holes one in the center for wiring and two separate by 3 1/2 ” , to be attached to electrical box. 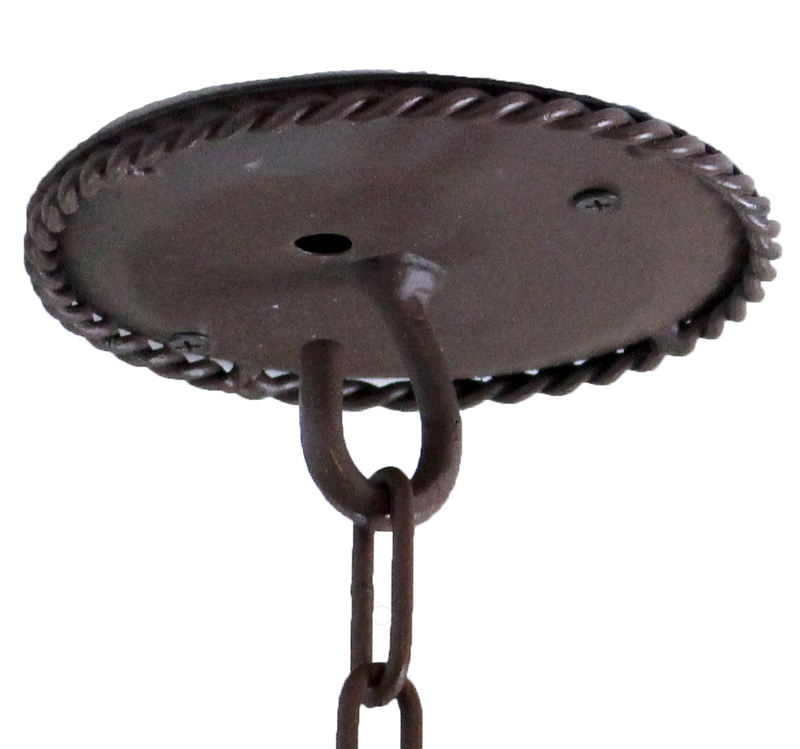 All our ceiling plates and chains are unique and authentic handcrafted by artisans in Mexico.